Lets see if this will be a useful topic. It is pinned at the top of the forum area for easier access. Descriptions, images and discussions are welcome. Please transact your business arrangements privately. Janel, thanks for your work. 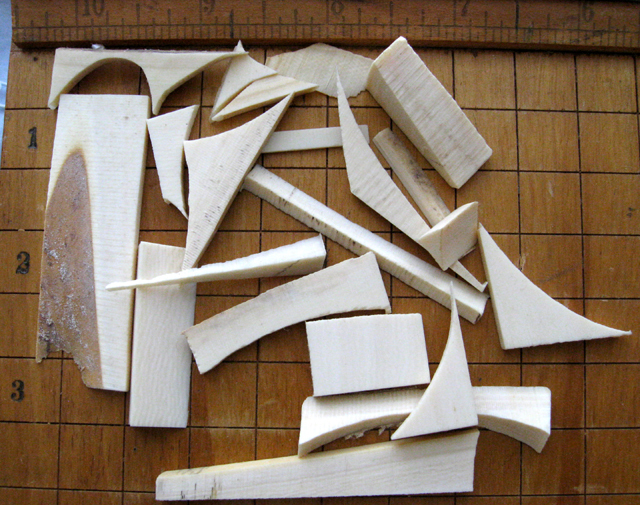 Here I have some tools and some small ivory pieces good for small carving or for inlay. 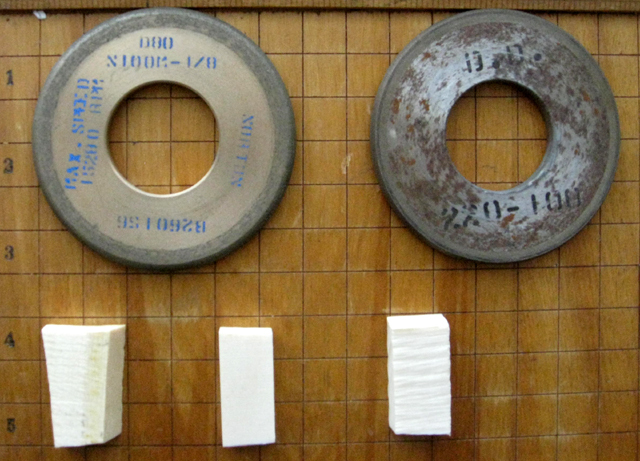 The sintered diamond wheel is 3 inches diameter, 1/4 inch thick, the center hole is 2 ¼ inches, one is 80 grid, one is 220, 100 % concentration, industrial grade. They have about 1/4 inch of diamond grid left, it will last for a life time. 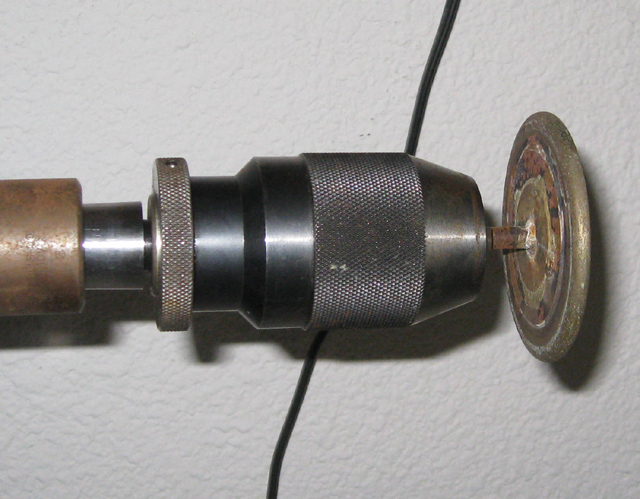 And I have two grade of sintered diamond hack saw blade which I chopped to hack saw size from a diamond band saw. 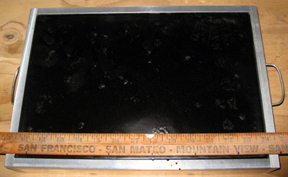 They are 1 inch wide, fit to regular hack saw frame. 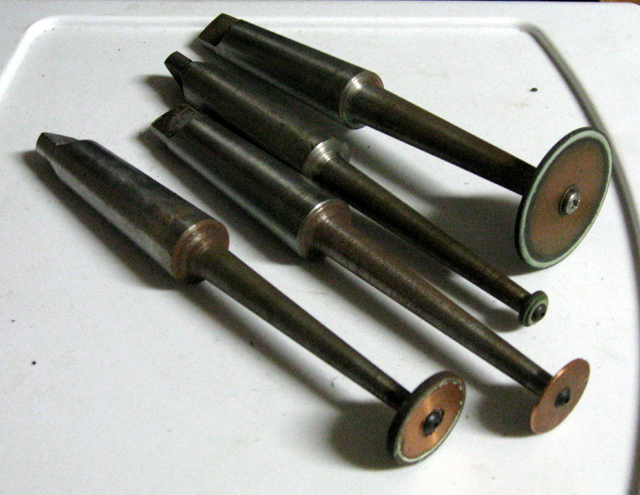 I also have some 4 inches Spanish hard wool puffing/polishing wheels. 1 inch thick, the wheel is cut out by a whole saw so it does not have a smooth edge. I wish I could trade for some nephrite jade or box wood or what ever. I live in Bay area, California, U.S. Please note that ivory cannot be sent out of the States. 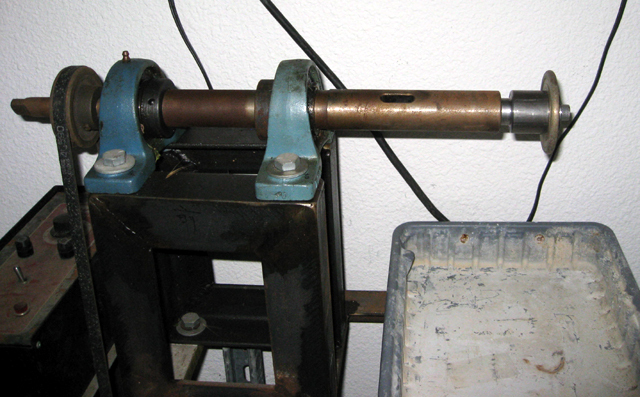 I have a home made machine; the spindle is a #3 Morse taper extent ion. You can see how I use the diamond wheels. The white snakeskin agate cat is rough out by that wheel. 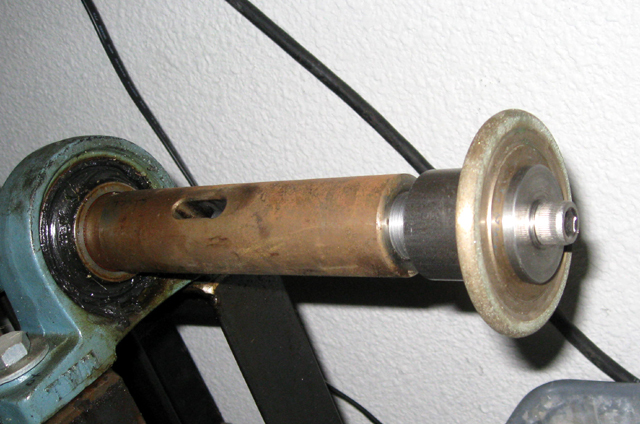 Any way, I also have some copper wheel that I made for engraving glass, those are not for trade. Check your messages, I sent you one earlier today. For the saw blade, Custom length is available. 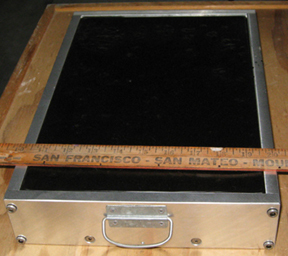 I also have a pitch box for swapping, It is made out of 1/2 inch thick aluminum, overall size is; 24 3/4" x 10" x 2 1/2" tall, weight 22 1/2 lbs. 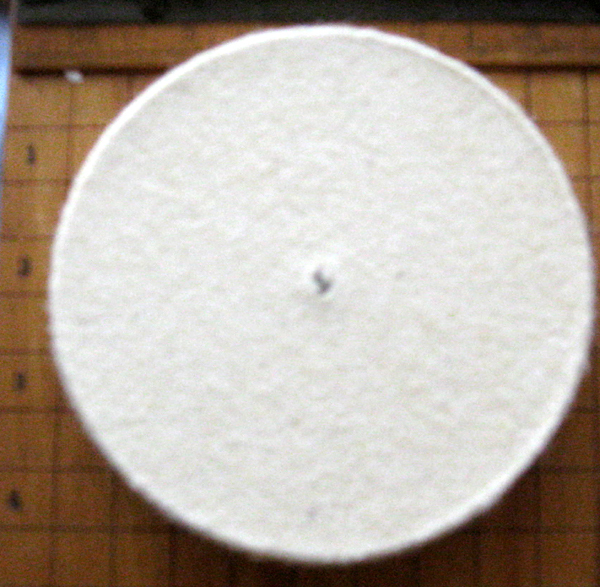 The pitch; 3.0 part pine pitch, 1.5 part bee wax, 1.0 part plaster of Paris. 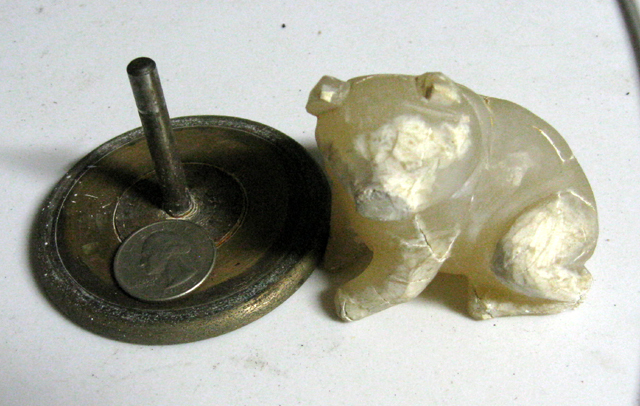 Wishing to trade box wood for carving, or better grade nephrite jade, or what else. Is this carving machine still vailable? I also you made the copper carving wheels! can you do a small tutorial on that? I wish we can talk more about this, I am new in this subject. Also, I have all the parts to build another new one. Hey Yloh thanks for the reply, I am interested in the machine and the copper wheels , you mentioned that you mad the wheels, anything in the line of hand made over purchased is great news. I would like to know more about the machine and what the cost would be to set one up, I did see a similar machine in New Zealand and how it was more usable than a conventional grinder for carving hard stone. I am starting to carve bone and organic materials but also did a tutorial on jade carving at the same time, both in New Zealand, although I need a great deal of practise to call my self a carver. Please let me know about the machine and thank you for the video, really amazing work! I would like to build a similar machine, can you offer any advise what size of motor, what speed do you run it at do you need the morse taper chuck, and any other advise you might have on building a carving machine. I will get back to you about building a machine. Is there any on that is wanting to try there hand at carving Tagua Nuts I have several that are in the 2.5 and larger range most are round to the long round range I have them stored properly . I am looking for Honey Horn in scales , rounds Unusual materials that can be used to put together at least two Puukko knifes that is 95 mm the Tagua nuts are very top quality and I would like to trade for the same also looking for some very good Reindeer (No pith in it) any one that is willing to work with me Pm me and let know.